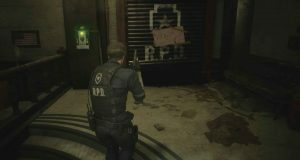 As we prepare our full Resident Evil 2 Remake strategy guide, let’s begin with a walkthrough of the 1-shot demo, alongside a host of other tips on where to find collectibles. First up, let’s start with the stuff that is going to help you complete Resident Evil 2 100%. 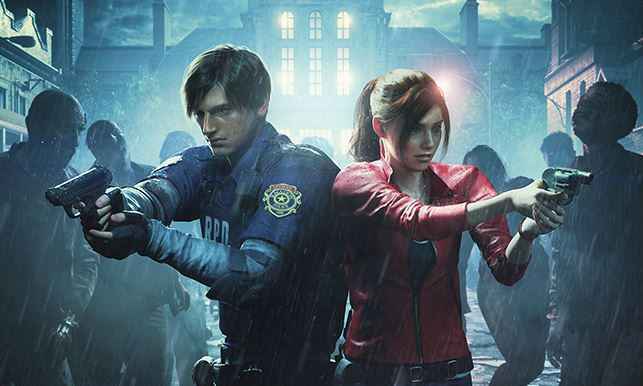 You can also read the Resident Evil 2 Remake Review to find out how we got on. The demo is available to download and play for 30 minutes up until January 30. Stay tuned for the full strategy guide very shortly. In the meantime, check out some hot tips! Zombies are incredibly resilient – nearly to a fault, so it’s best to be very strategic about which ones you kill. Incapacitating is better most times – shooting them in the knees, etc. You may think you have a lot of ammo but it’s possible to waste 15-or-so handgun bullets on two zombies on normal difficulty. If there’s a route or hallway you know you’ll be going down a lot it’s worth clearing those out but do this sparingly. Shoot to knees and knife whilst on the ground is a good tactic. Investigate items; once you pick up an item be sure to ‘examine’ it in your inventory, a lot of progression is tied to you revealing the function of items you pick up. Upgrade your inventory where possible – (we can expand on the specifics perhaps in a separate article if it’s better for SEO; PP have the details). Plan your routes; there’s normally more than one way to get to a location (particularly in the RPD) learn which ones have monsters that are hard to run past (ie. Lickers) and plan accordingly, if you’re wary, save often. Portable safes have random combinations each time. Solving them requires trial and error, choosing the correct order to light up all eight lights. The two portable safes provide the missing buttons for the weapon lockup terminal. Check out the following tips and guide on how to complete the demo effectively within the time-frame. Unfortunately, if you want to beat the game within the limit, there’s not much time for exploration. 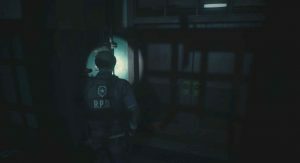 “It was supposed to be a short break for Leon S. Kennedy – just one last pit stop at a gas station on the outskirts of town – when the rookie cop found himself surrounded in a sea of zombies. 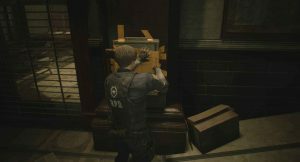 Along with a newfound friend, Claire Redfield, Leon managed to escape Racoon City, only for an accident to split them apart. In the hall, as the demo begins, there’s puzzles that can’t be solved yet. Just focus on moving through the game with speed, running past zombies and taking the following the steps. 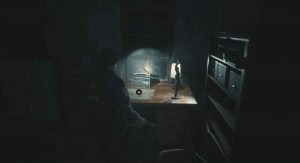 Examine the computer in the hall on the desk when the action begins. Enjoy the cut-scene. 2. Near the main door where the game begins, check to the right where you’ll see metal shutters with a “Keep Out” sign. There’s a switch that can be flicked right next to it. You’ll then be able to enter a new area underneath the door. 3. Follow the corridor and take a right at the end. There’s a locker blocking the entrance which you can push to get through. 4. Head right, then take a left and you’ll hear a police office shouting out for help. Go into the room through the door on the left, and look out for the door that has the words “Fire safety door do not obstruct. They’ll be another cut-scene. Interact with it. 5. Head through the door straight opposite the shutter. Watch out for the cop zombie! Take a right, then a left, then a left again at the end. You’re heading back to the hall. They’ll be more zombies, which you can run past before climbing back under the shutters. 6. You’ll now get a combat knife and another cut-scene. Head down the stairs on the right, and you’ll see a box on the wall taped up as you attempt to “find a way underground”. Interact with it to cut off the tape with your combat knife. Flick the switch. 7. Head straight through the room to the far side and through the door. Go to the end of the corridor and take a right. Keep heading forward until you see the red double doors on your right. Enter the room. 8. Climb up the yellow taped box in the room to get through the broken window. When you drop down, take the first left, left again at the end, then head up the stairs. 9. 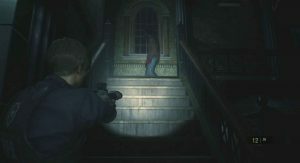 Head up the second flight of stairs and shoot the zombie. Keep heading upwards, and follow the only way forward until you reach a desk. Pick up the key. 10. Head back the way you came and down the stairs. A couple more zombies will be there to greet you. Take a left at the bottom of the stairs. Then a right, and head straight through the first door on the left that you see. 11. Head immediately left in the room and up the small staircase to the door to use the key. 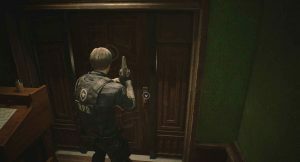 Congratulations, that’s your first taste of the Resident Evil 2 Remake. You can play it again, if you like. Also, if you want to see how the series has evolved, check out the comparison between the original game. Check back shortly for the complete strategy guide and walkthrough, where we’ll also show you how to find all the hidden secrets and collectibles. Plus, many more tips. Ahead of release, there’s been a host of new details, including rumors of a New Game Plus mode. 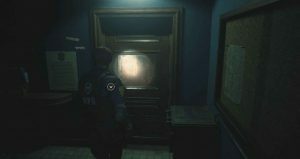 You can also check out the Resident Evil 2 Remake trophy list and other great guides over at PowerPyx.